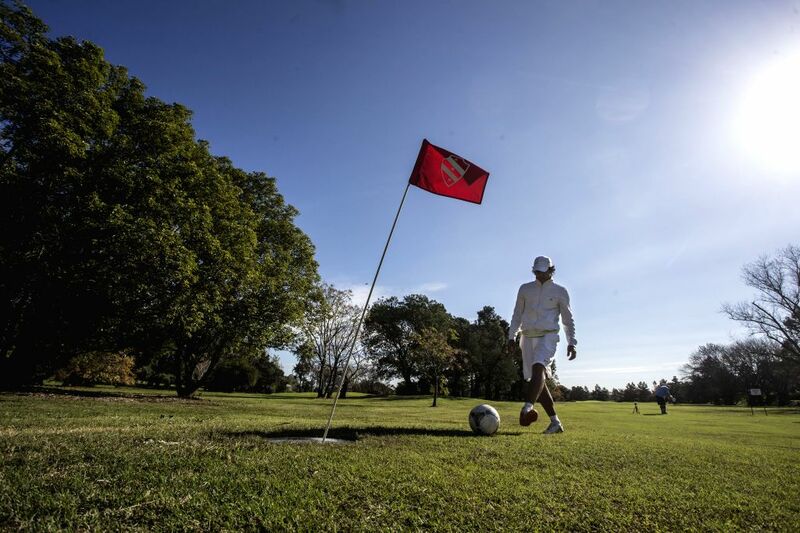 TIGRE, May 17, 2014 - A FootGolf player adjusts a flag in a hole during a tournament in a golf field of Tigre, 35 kilometers away from Buenos Aires, capital of Argentina, on May 16, 2014. 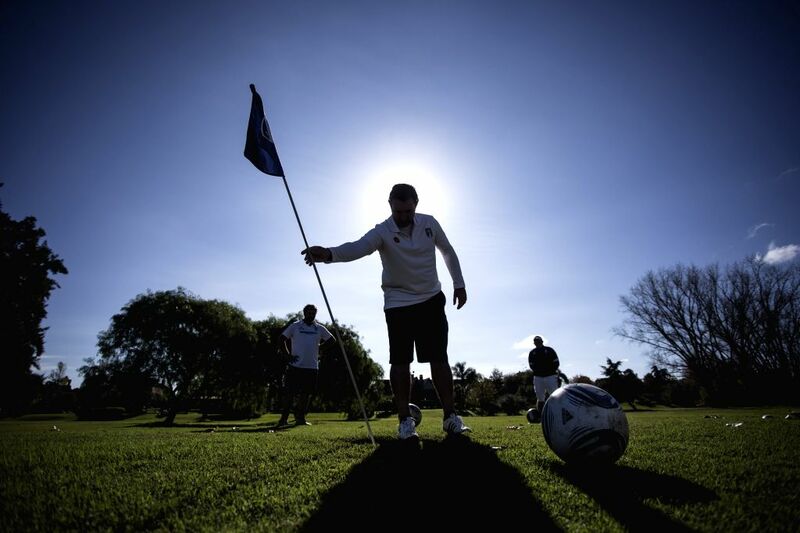 FootGolf is a sport usually played on an adapted golf course, where players kick a football into a hole with as few shots as possible. 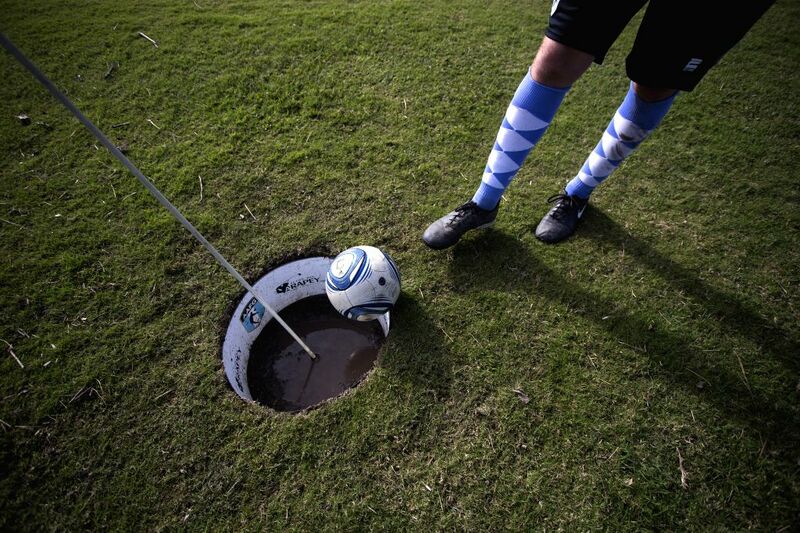 A FootGolf player kicks a ball into a hole during a tournament in a golf field of Tigre, 35 kilometers away from Buenos Aires, capital of Argentina, on May 16, 2014.